As a primary care physician, routine physicals are an important part of Dr. Steven Kamara’s practice. 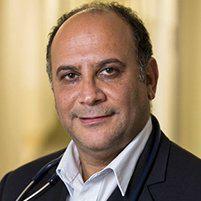 He is able to offer compassionate care to patients in the the Los Angeles, California area. As a specialist in internal medicine and general care, Dr. Kamara sees patients with a variety of medical concerns. The staff and doctor will also ask to learn a little bit about your lifestyle. Do you exercise? How much alcohol do you drink daily? Are you a smoker? These questions all pertain to your current health. A person living a sedentary life, getting little exercise, is in the high risk category for heart disease and diabetes. The doctor will also ask about your vaccinations and recent illnesses. What will the doctor do during a physical? Dr. Kamara follows a basic schematic to assess your overall health. He will take notes regarding your general appearance and tthings like skin tone and weight all factor into the assessment of your overall health. He will talk to you during the exam to also gauge your mental and cognitive status as well. He will also check your vital systems and listen your heart for any irregularities that could indicate a murmur or advanced diseases. Is the exam different for men and women? When it comes to examining the reproductive organs, there will be obvious differences. Women need a breast and pelvic exam while men get checked for testicular cancer and will often undergo a prostate exam as a part of their routine check-up.